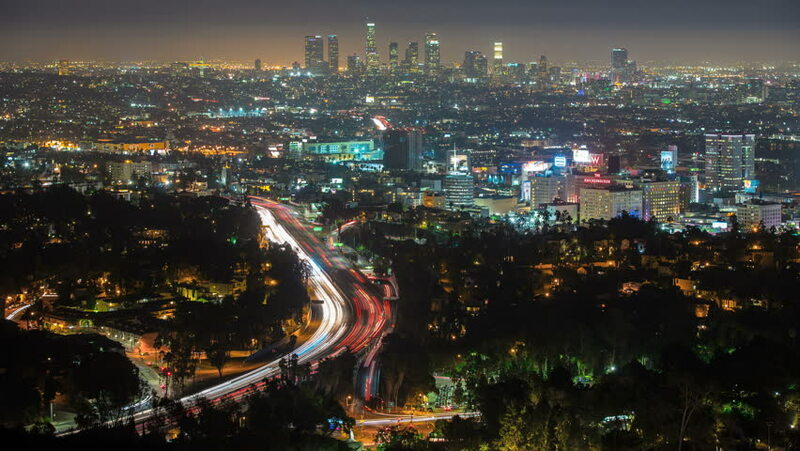 Aerial Los Angeles Night City Timelapse. Zooms towards downtown over glowing freeways. 4k00:154K Los Angeles Night Sky Epic City Timelapse. hd00:15Los Angeles Night Timelapse. Freeway Traffic, City Skyline, Buildings at Night. hd00:10Lightning Storm Over Wide Los Angeles Night City Panorama Timelapse.